The mid-range Pixel phone could actually be called Pixel 3 Lite. Looks like the Pixel 3 Lite won’t come with a glass back cover. Google will not be ditching the 3.5mm headphone jack for the Pixel 3 Lite.  Google recently launched its latest flagships — the Pixel 3 and the Pixel 3 XL, and the company is already rumoured to launch a more affordable version of Pixel. We have already witnessed several rumours and leaks of the possibility of Google unveiling a mid-range smartphone and now, a Russian tech blog, first spotted by XDA Developer, backs the rumours of the Pixel 3 Lite under-works. After the Pixel 3 and the Pixel 3 XL, Google could be announcing its most talked about mid-range Pixel phone very soon. We have come across several rumours about the mid-range Pixel phone in the past, but none of them revealed any concrete detail about the phone. But now, pictures of the phone, showing the complete design of the device, have surfaced online. 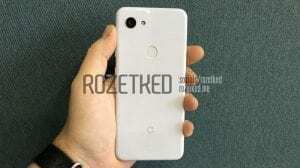 The leaked pictures of the mid-range Pixel phone show the device from almost all angles. From the looks of it, the cheaper Pixel phone sports the similar design lines as the Pixel 3. 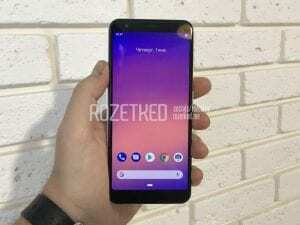 The pictures have been leaked by the same source that leaked the hands-on video of the Pixel 3 XL way before the launch. It’s a website named rozetked.me. 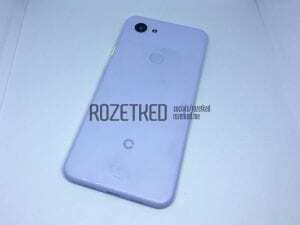 The leaked pictures show the mid-range Pixel phone in white colour with a fluorescent yellow power key. The volume buttons, however, are painted in white colour. Apart from revealing the overall design of the phone, the new leak also reveals that the mid-range Pixel phone could actually be called Pixel 3 Lite. The leaked pictures show the phone from all angles. The rear panel appears to have a glossy texture with a single camera set up paired with LED flash. Unlike the Pixel 3 and the Pixel 3 XL, looks like the Pixel 3 Lite won’t come with a glass back cover. Google may use plastic for the Lite version of the Pixel 3, obviously to reduced the cost of the phone. The rear camera of the phone is followed by a circular fingerprint sensor. 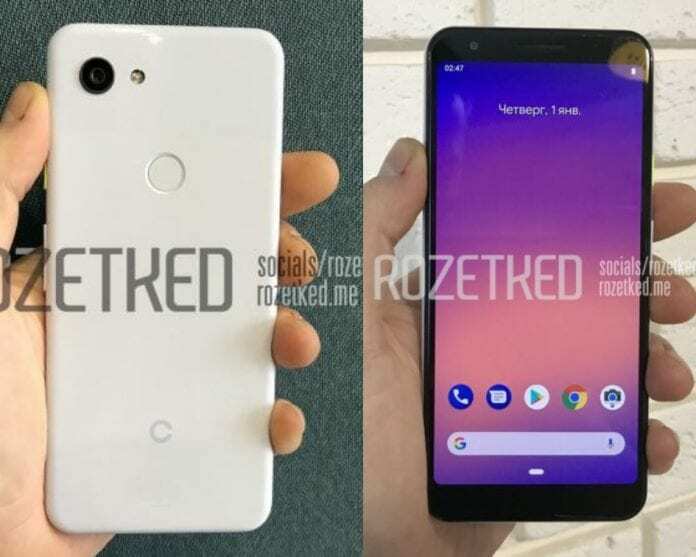 The pictures also reveal that the Pixel 3 Lite will follow the same design lines as the Pixel 3 and not Pixel 3 XL. This means that the Pixel 3 Lite will not come with a notched display or dual selfie cameras. Apart from being leaked in pictures, the Pixel 3 Lite has also made its way to Geekbench, which reveals almost the complete specs details of the phone. The benchmarking site reveals that Google will not be ditching the 3.5mm headphone jack for the Pixel 3 Lite. The listing further reveals that the phone will be powered by Qualcomm Snapdragon 670 chipset and come in only one configuration with 4GB RAM and 32GB of internal storage, which we expect can be expanded via microSD card. The Geekbench listing also reveals that the Pixel 3 Lite will come with a 2,915mAh battery and sport a 5.56-inch IPS LCD display with a resolution of 2220×1080 pixels. On both front and back side, the Pixel 3 Lite will include a single camera setup as seen on the Pixel 3. The benchmark listing reveals that on the back, the Pixel 3 Lite will include a 12MP camera setup on the back side and 8MP sensor on the front for selfies. As expected, just like the Pixel 3 and the Pixel 3 XL, the Pixel 3 Lite will also run Android 9 Pie out-of-the-box. Google’s upcoming mid-range phone aka Pixel 3 Lite (name as rumours suggest) has also made its way to the Geekbench. The benchmarking site reveals almost the full specifications of the phone. The list reveals that the phone will be codenamed Sargo. 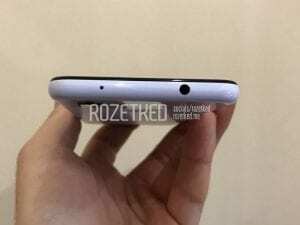 It is said to be powered by Qualcomm Snapdragon 670 chipset with Adreno 615 paired with 4GB of RAM and 32GB of internal storage which can be further expandable via microSD card. Other specs include — 2915mAh battery, a 5.56-inch IPS LCD (2220×1080 pixels) display, 12MP rear camera, and 8MP selfie camera. Similar to the Pixel 3 and Pixel 3 XL, the Pixel 3 Lite is also expected to run Android 9 Pie software out-of-the-box. 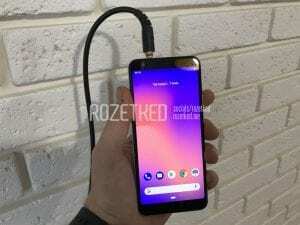 Google is yet to reveal the launch details of the Pixel 3 Lite, but according to new leak the phone could be launching in the first quarter of 2019 and may be priced between $ 400 – $500 (Rs 28,700 – Rs 35,900). This means that the Pixel 3 Lite, when it comes to India could be competing against the OnePlus 6T and other similar price segment phones. В наших руках оказался ещё непредставленный смартфон Google Pixel 3 Lite под кодовым именем «Sargo».